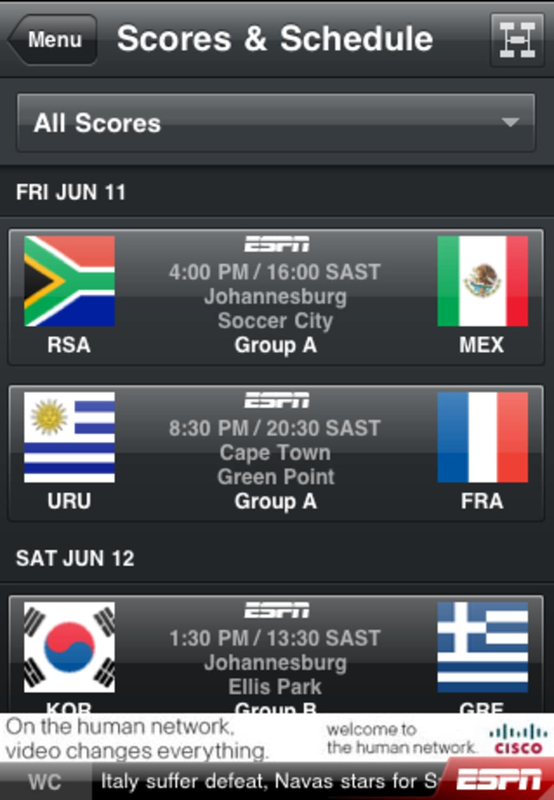 ESPN 2010 FIFA World Cup is by far the best iPhone World Cup guide we've seen so far, making it a must-have for any football fan. What we love about ESPN 2010 FIFA World Cup is the sheer amount of information it offers. In fact, if you try to read everything on it the World Cup would probably be over by the time you've finished. 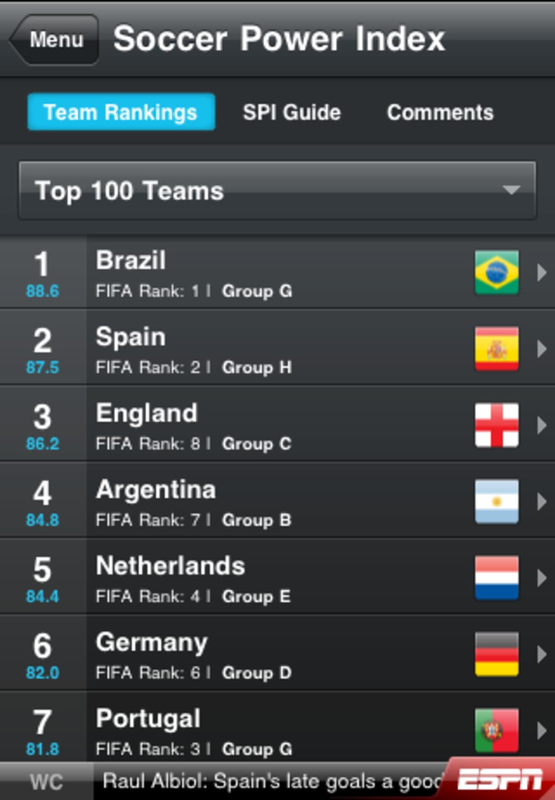 Despite having such a range of information, the user interface of the ESPN 2010 FIFA World Cup app is kept as clean as can be. The main screen displays a countdown to the kick-off of the tournament, then lets you browse different categories, including: Scores & Schedules, News, Video, Tables, Venues and Tournament History. 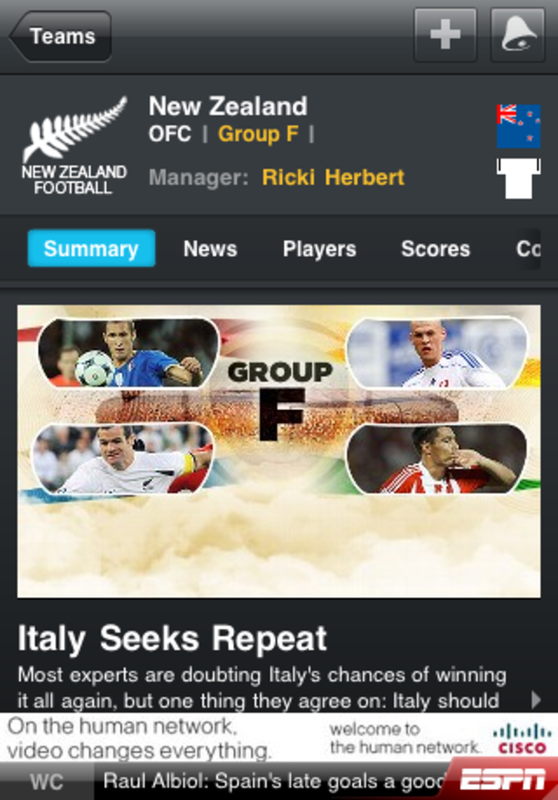 Whichever country you're supporting in the finals, you'll find plenty of information on the team by clicking on its flag in the 'Teams' menu. 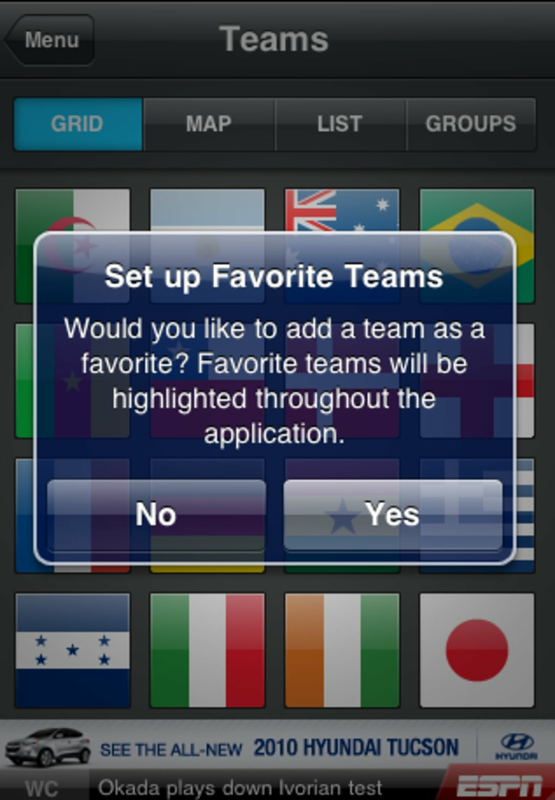 You can even add teams to your favorites in order to better track their exploits. For each team, ESPN 2010 FIFA World Cup offers stacks of content including a fascinating summary of the country's World Cup history, latest news, selected player profiles, and a message board. 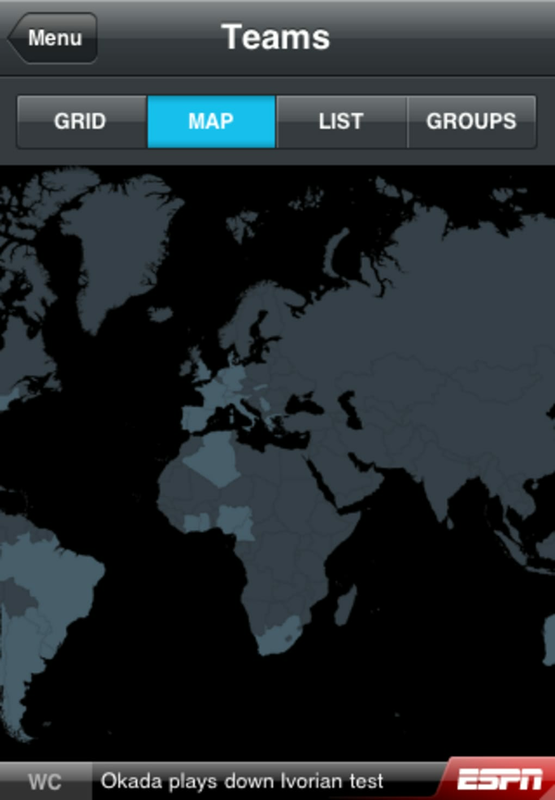 You can even stream the national anthem of every team! 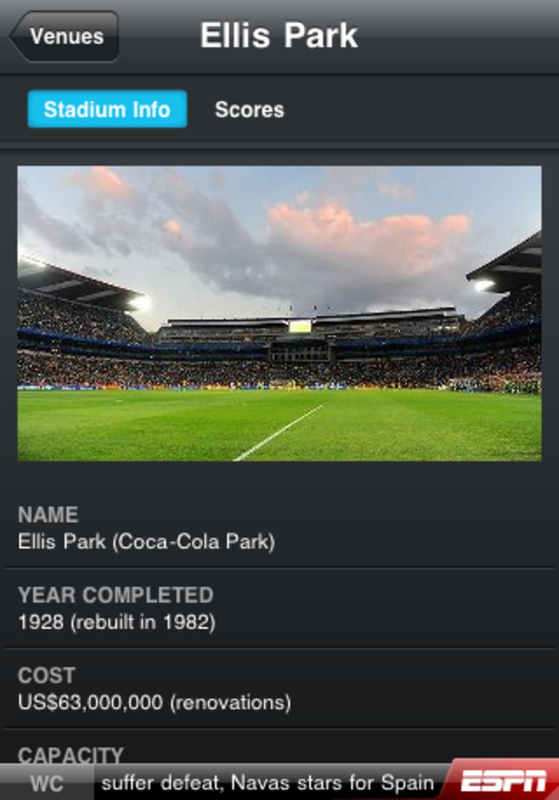 Nostalgic football fans will love the 'Tournament History' section of ESPN 2010 FIFA World Cup. This provides detailed overviews of every tournament that's taken place, outlining the highs and lows of each, and it's sure to jog some fond memories of World Cups gone by. The video section in ESPN 2010 FIFA World Cup allows you to browse vignettes profiling all 32 teams in the tournament. Unfortunately, if you want access to in-game video highlights and live audio streams of each match, you need to make a one-off payment. This could be worth it though, as doing this also adds live play-by-play commentary, studio analysis and premium alerts to ESPN 2010 FIFA World Cup. If, like me, you're counting down the days until it all kicks off in South Africa, then we can't recommend ESPN 2010 FIFA World Cup highly enough. What do you think about ESPN 2010 FIFA World Cup? Do you recommend it? Why?